ST JOHN the Baptist School in Woking continues to go from strength to strength after its head was named in the Queen’s 2017 birthday honours list last Friday, by Andy Fitzsimons. 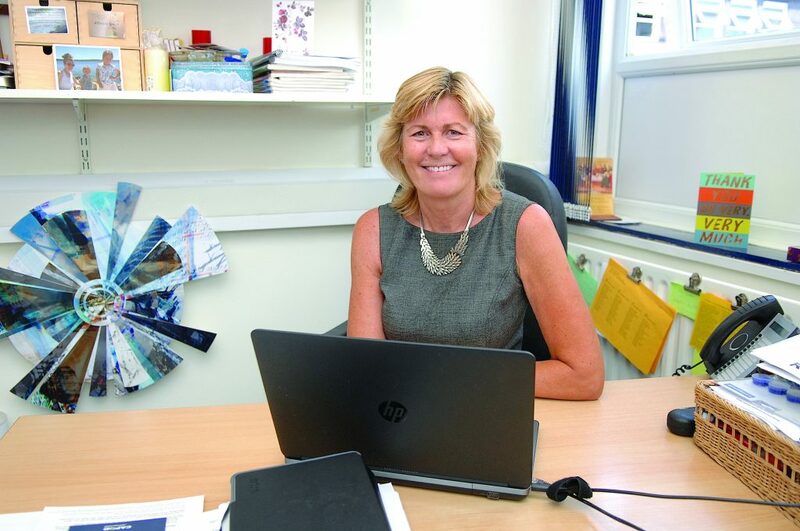 Ani Magill, 60, who is a national leader of education (NLE) and executive headteacher at the Catholic comprehensive school, has been recognised for her services to education. Magill was made a CBE (Commander of the Order of the British Empire) and joins more than 130 people across the UK honoured for making an outstanding contribution to education, children’s services or advancing equality and diversity. Speaking to the News & Mail on Tuesday (20 June ’17), the Woking headteacher was unsurprisingly delighted to be nominated by her peers and named in this year’s honours list, which marks the official 91st birthday of the Queen. “I am of course very grateful to be recognised for a national honour; however, it’s all thanks to the students and the great people that I work with on a daily basis,” she said. “I’ve been at St John the Baptist School now for 22 years, and even after all those years I still genuinely love coming to work. “For me, it’s all about people. One person doesn’t make a great school. It’s about the variety of people it employs and the students who pass through it who achieve the best outcomes. “I am proud of the team I have around me – and what our students have achieved and continue to achieve. “We strive to be the best school in England, which is why we’ve developed a strong set of morals and values to help everyone succeed. “From the young people I meet and speak to on a daily basis, I wholeheartedly believe this country is in safe hands, which inspires me. This is something to celebrate,” added Magill. The investiture, which ceremonially honours those who have been recognised for a gong, will take place at Buckingham Palace in September (2017). Magill will be joined by others honoured from the world of sport, politics, business, charity and entertainment, which include the likes of Beatles’ frontman Sir Paul McCartney, novelist JK Rowling, actress Julie Walters and singer Ed Sheeran.